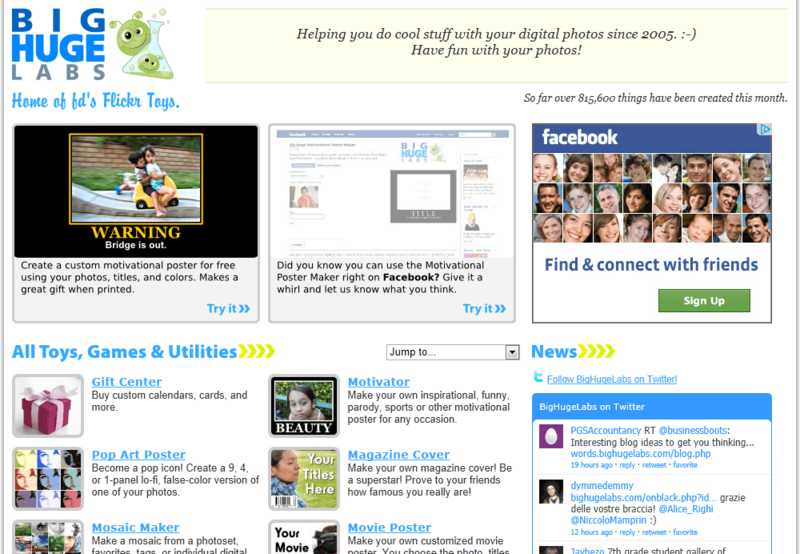 Uses: Excellent resource website for allowing your students to take their projects above and beyond the ordinary. It allows you and students to take images and change them into magazine covers, posters, slideshows, billboards, wallpaper and more. Let’s upgrade your students’ projects so that they become more engaged.